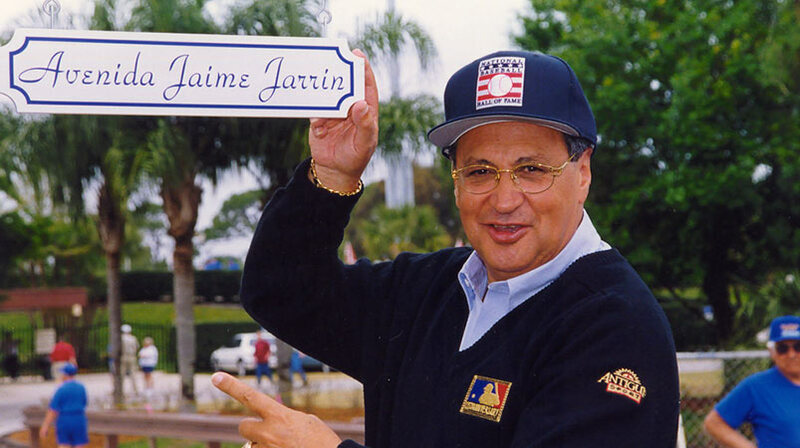 Jaime Jarrin and his soothing and beautiful voice, combined with his colorful descriptions of game action, welcomes listeners of all ages to the Dodger Spanish-language broadcasts. Jarrin honed his craft of baseball play-by-play since he arrived in Los Angeles from his native Quito, Ecuador in 1959. Walter O’Malley was a firm believer that Spanish-language broadcasts were critical to the success of the Dodgers in Los Angeles’ ever-growing Hispanic market. The initial broadcasts on KWKW Radio began in 1958 with Jarrin’s longtime partner Rene Cardenas at the microphone (along with Miguel Alonzo and Milt Nava). Instrumental in building the large base of Latino listeners to Dodger broadcasts, Jarrin has always been a class representative of the Dodger organization, describing the games in an objective manner. In the initial years of Dodger Spanish-language broadcasts, Jarrin had to re-create road games by sitting in a studio and listening to Vin Scully’s descriptions. No small task, but it afforded Jarrin the opportunity to hear Scully and incorporate a similar storytelling style into the Spanish-language broadcasts. 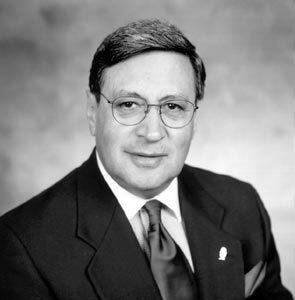 Jarrin became only the second Spanish-language broadcaster to be inducted into the National Baseball Hall of Fame on July 26, 1998 as winner of the Ford C. Frick Award. Jarrin was the first recipient of the Southern California Broadcaster Association’s President’s Award in February 1998. Jarrin received a star on the Hollywood Walk of Fame in September 1998. He is also a familiar voice to baseball fans throughout Latin America for broadcasting network games of the World Series, All-Star Games and League Championship Series. In June 2003, Jarrin was reunited with former Dodger star pitcher Fernando Valenzuela, who became an analyst in the Dodger Spanish-language radio booth. During the incredible chapter of Dodger history known as “Fernandomania” in the early 1980s, Jarrin served as the interpreter for the popular Mexican star. 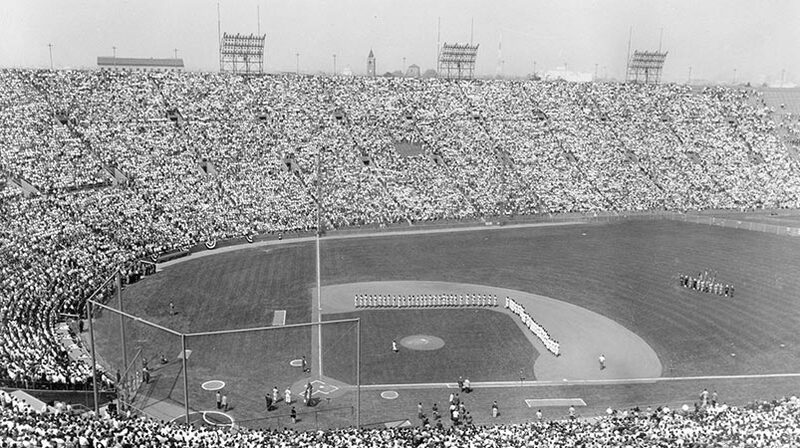 Jarrin was named to the Dodgers’ “Ring of Honor” located in Dodger Stadium in 2018, an exclusive group of Dodger players and managers who had their uniform numbers retired, as well as broadcasters. In 2019, the Professional Baseball Scouts Foundation recognized him as winner of the “Pioneer Award” for his early and sustaining career contributions to Spanish-language broadcasts in Major League Baseball. Jarrin is the longest-serving broadcaster in MLB (began his 61st season in 2019). 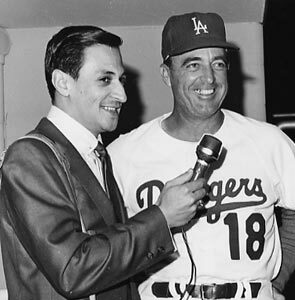 Jaime Jarrin interviews Dodger Coach Preston Gomez in 1965.Copyright © Los Angeles Dodgers, Inc.